I knew the end was drawing near - but with cancer, "The Big C" as she called it, you never know how long it will take. I just knew eventually it would take her. When she went to the hospice for the first time I was preparing for Christmas. I wanted to get my sewing done early that year. 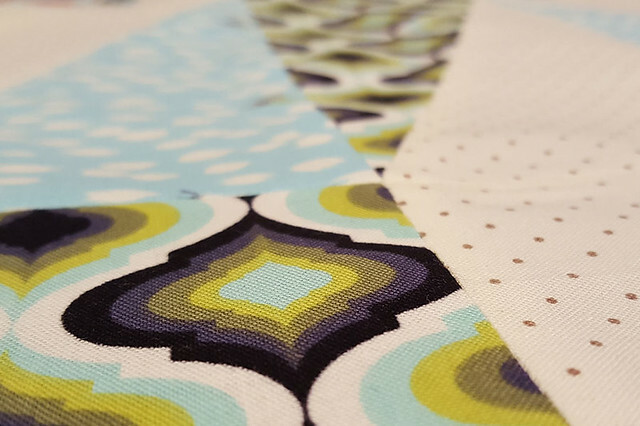 I bought bright, pretty Tula Pink Moon Shine and Riley Blake Swiss Dots fabric to make my Mom a quilt for her room in her hospice. It was already a beautiful room and she was in the best of care but I wanted to make her something beautiful one last time to comfort her and bring her joy. 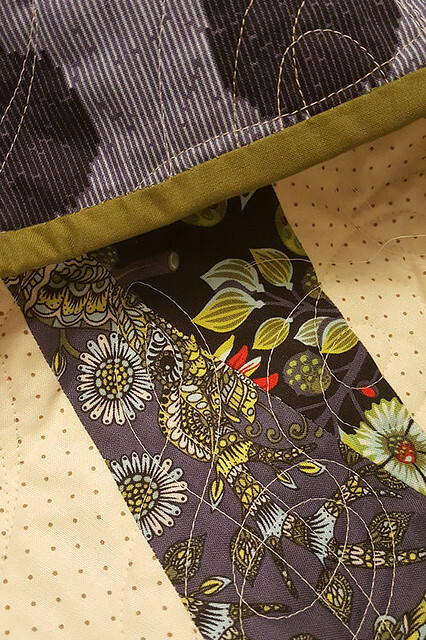 I remember choosing the Moon Shine fabric line because the green in the fabrics went well with her room. I chose a pattern and planned to work little notes from the grand kids into each block as well as quotes from her favorite hymn. Then things changed rapidly. I spent several weeks traveling up to help my Dad with my Mom in the hospice. I had no time to sew. I came home from her funeral early December, my heart shattered and unable to accomplish much at all. It took me a long time to want to sew. 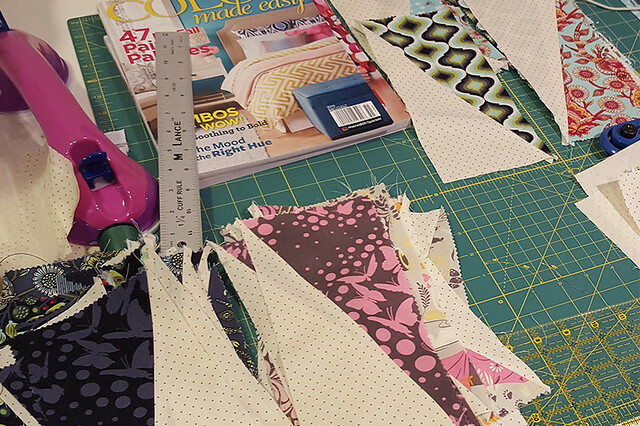 Every time I saw that stack of fabric in my sewing room I got really emotional. She taught me to sew. 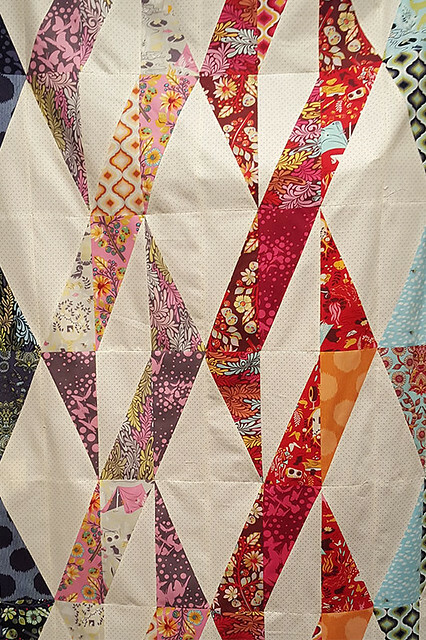 Both my grandmothers had helped me learn to quilt. That was supposed to be for her. It was the gift I would never give and it broke my heart. The fabric sat there then I moved it into the closet - but it tugged at my heart strings any time I remembered it. Finally, as I started working through the emotions of her loss, I read that completing things could be healing. I pulled out the fabric and pattern. But it just didn't seem right. That pattern was meant for her and I just couldn't make it. I sat there thinking about it and realized it had to become a gift for someone else. It just felt right. 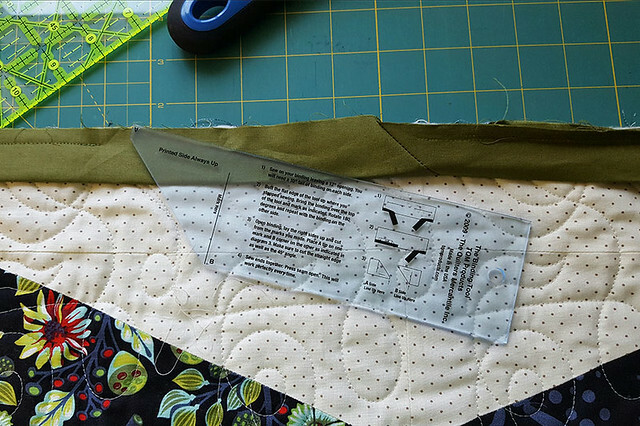 As I considered what to do I felt like it would be good to use it in a quilt for my sister. She spent countless hours of her time helping Mom and Dad and caring for them whatever way she could. It would be my "Thank-you"gift to her. As I thought about it I realized it would be a gift from Mom for her. That felt even more right. Once I decided it was for her I searched for a new pattern. 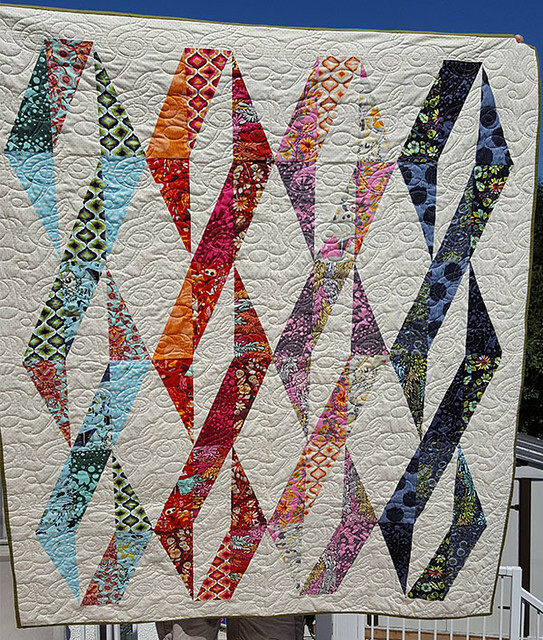 I found the Twizzle Quilt pattern for free on Craftsy.com. 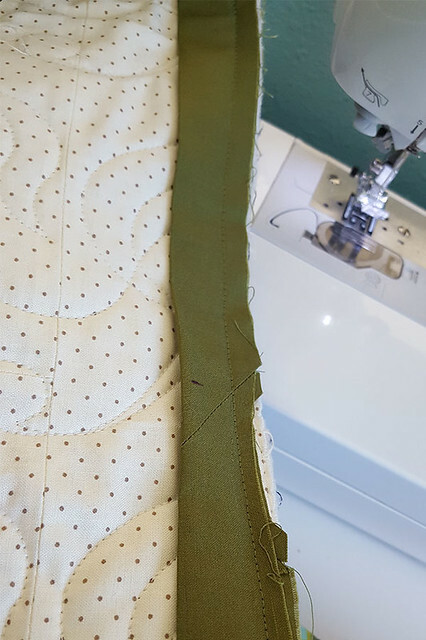 Heidi over at Buttons and Butterflies made the gorgeous pattern and has some helpful information for making this just right! It was so pretty and I felt like my sister would like it too. Soon I started sewing the top. It went together slowly but I fell in love again with the colors of the fabric and enjoyed being back doing what I love. Yes, there were some emotional days... but the heartache was slowly healing and the emotions became easier to control. 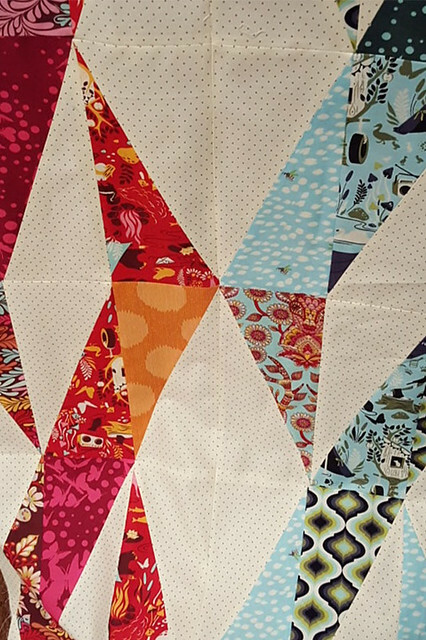 Once I finished the quilt top I took my time finding a pattern for quilting. I wanted this to be personal for her. 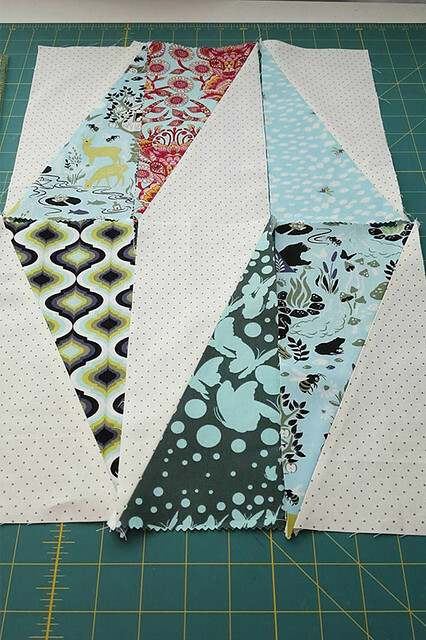 When I stumbled across the Studio In C pantograph pattern I was so excited. My sister is a piano teacher and I knew she'd love it! I loved how the angle of the Treble Clef complimented the angles of the rows. I also love the how all the circles and swirls balanced out the straight lines and points. I quilted this on a Crown Jewel. 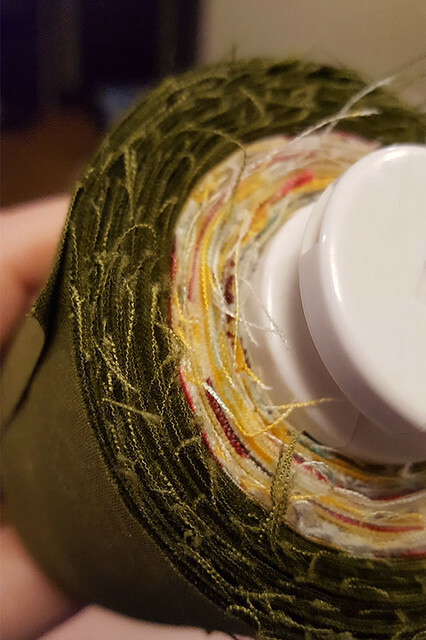 I used a Simplicity Bias Tape Maker to speed up the binding process as well as The Binding Tool to get the binding to fit just right. 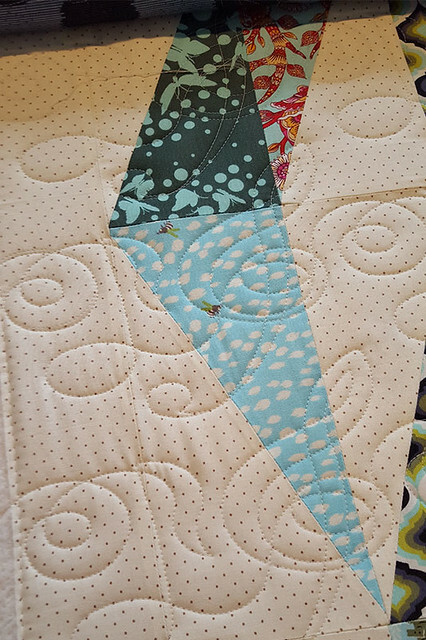 The first quilt I ever bound - the only one my Mom saw - and said "Cute, you need to work on your binding though!" I was determined it would be perfect this time and it turned out great. Even if it took a long time to hand stitch. So worth it! 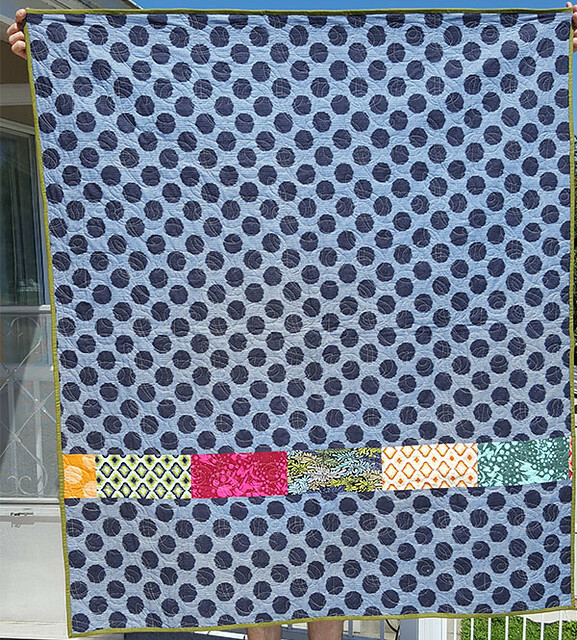 Finally, after months of working on it I was able to give the quilt to my sister. It was supposed to be a sort of surprise. I showed her the finished top - then didn't tell her more until I took it to her. 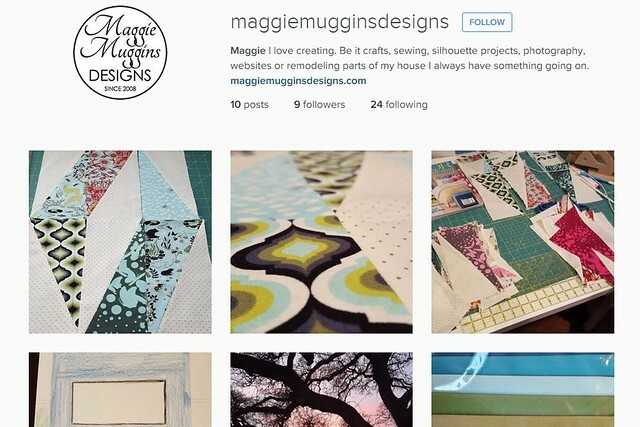 Of course - my sister that rarely goes on social media never told me that she opened up my Instagram feed every once in a while to see what I was up to - so no surprise there! Ha! But she still loved it. There is a song written and performed by Calee Reed called "She Put the Music In Me" that is absolutely perfect at describing our Mom. We heard it at Calee's first Time Out For Women and we heard her story of losing her Mom to cancer. That was around the time we had been told Mom had 6 months left. Needless to say we BAWLED like babies. Then, for the first time in our lives we actually went up and met and thanked Calee. We felt like she wrote our song. We decided that night to learn it. My sister accompanied me while I sang it at Mom's funeral. After I finished the top my husband mentioned that it looked like DNA strands. 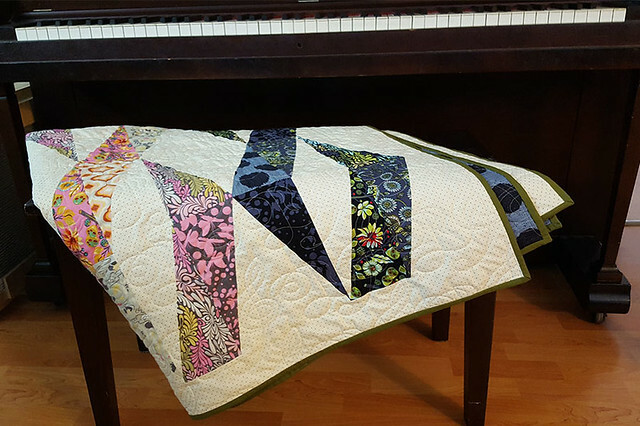 When I finished quilting the notes and treble clefs into it I felt like the perfect name for the quilt would be "She Put The Music In Me." Finally giving the gift felt so healing. It was different than I expected. Instead of feeling like I had finished what I had wanted to make for Mom it felt more like I was doing something for her. Something that she would have liked to have done. The gift I never gave somehow became one of the most beautiful gifts I've ever been able to give. It felt amazing! I still have scraps of that fabric lying around. They don't hurt to see. They remind me of the things Mom taught me to love, of the things she made for me and the things I made for her. Most importantly they remind me of the gift I never gave and how it became the gift she gave to me.